Many organizations are looking for that magic tool or methodology that will suddenly transform them into outstanding organizations. Unfortunately, there is no one right answer for all organizations or even for a single organization. Successful organizations skillfully integrate the appropriate improvement approaches with honesty, commitment, and constancy of purpose across all levels of management. This book, part of The Little Big Book series, discusses the most common set of tools and methodologies used in managerial, strategic planning, project selection, and organizational improvement projects that are referred to throughout The Little Big Book series. It presents, in a concise no-nonsense format, the concepts and techniques that must be mastered by project managers and anyone tasked with managing an improvement project. The tools covered in this book include affinity diagrams, brainstorming, cause-and-effect diagrams, the Kano model, organizational process improvement, Pareto analysis, project management, risk management, root cause analysis, storyboarding, value propositions, and workflow diagrams. Because of the large number of tools and techniques covered, the book supplies concise operating guidance for each tool that is adequate to prepare readers to understand and use that tool. It also includes examples of how the tools are used. The book provides a basic understanding of the tools you need to improve the processes you are currently using to manage your organization and, ultimately, to improve the quality, productivity, and agility of the products or services you are delivering to your customers. 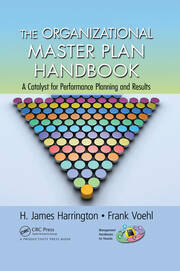 The tools presented in this book are the essential tools that all organizations should be using. By understanding and using the tools covered in this book, you will possess a better overall understanding of the way your organization needs to function in today’s increasingly competitive environment. What Is a Voting Output? Charles (Chuck) Mignosa has more than 30 years of diversified experience in high technology, aerospace, telecommunications, food processing, and biomedical device industries. He was with IBM for 25 years and holds patents in solid lubricants. He was the project manager in charge of implementing quality systems and is a certified course developer who developed many customized courses. 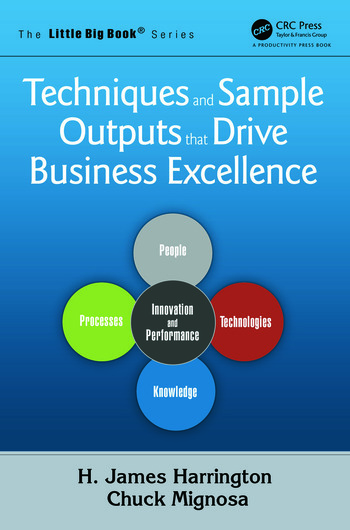 Some examples include Total Quality Management, Continuous Flow Manufacturing, Customer Driven Quality, Statistical Design and Analysis of Experiments, Team Building, Six Sigma, and Communication Skills. Mignosa also was involved with IBM’s Six Sigma projects that were designed after Motorola’s program. Mignosa has delivered courses in Management Development, Team Building, Organizational Excellence, Conflict Resolution, the Stephen Covey 7 Habits of Highly Effective People, and Principle Centered Leadership, along with many other topics. After leaving IBM, he worked as an independent consultant, and has consulted for and done training with such companies as IBM, SanDisk, Owens Corning, Heinz USA, Siemens Automotive, General Mills, Connors Peripherals, HP, ADAC Labs, and many more. He has been an adjunct instructor with the University of Notre Dame (South Bend, Indiana), Nova University (Fort Lauderdale, Florida), and the University of Nevada/Las Vegas. Mignosa spent three years as the director of quality for Cholestech Corporation (San Diego) where he brought them into FDA compliance and registered to ISO 9001 and ISO 13485. He also spent two years as vice president of quality at P-COM, a telecommunications equipment development company in Campbell, CA, where he reduced out-of-box failures from 30 percent to less than 1 percent. Mignosa presently is president and CEO of Business Systems Architects, LLC (Santa Clara, California). His teams specialize in the design and implementation of business and quality management systems, organizational excellence, continuous improvement Lean/Six Sigma, and strategic planning. His partners include H. James Harrington of the Harrington Institute and Jerry Mairani of the Institute of Performance Improvement. In addition to a BS in chemistry from San Jose State University, Mignosa has completed graduate work in statistics at Stanford, a masters in systems engineering at Systems Research Institute in New York, and management training with IBM. He is a senior member of the American Society for Quality (ASQ), and is a certified Master Black Belt trainer. H. James Harrington, PhD, is the CEO of Harrington Institute, Inc., in Los Gatos, California. In the book, Tech Trending, Dr. Harrington was referred to as "the quintessential tech trender." The New York Times referred to him as having a "… knack for synthesis and an open mind about packaging his knowledge and experience in new ways—characteristics that may matter more as prerequisites for new-economy success than technical wizardry. …" The author, Tom Peters, stated, "I fervently hope that Harrington’s readers will not only benefit from the thoroughness of his effort, but will also ‘smell’ the fundamental nature of the challenge for change that he mounts." President Bill Clinton appointed Dr. Harrington to serve as an Ambassador of Good Will. It has been said about him, "He writes the books that other consultants use." The Harrington Institute was featured on a half-hour TV program, Heartbeat of America, which focused on outstanding small businesses that make America strong. The host, William Shatner, stated, "You (Dr. Harrington) manage an entrepreneurial company that moves America forward. You are obviously successful." 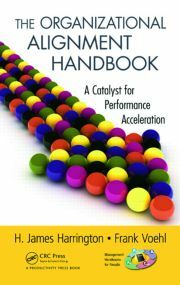 Dr. Harrington is recognized as one of the world leaders in applying performance improvement methodologies to business processes. He has an excellent record of coming into an organization as its CEO or COO, resulting in a major improvement in its financial and quality performance. Dr. Harrington is a very prolific author, publishing hundreds of technical reports and magazine articles. He has authored 40 books and 10 software packages. Dr. Harrington now serves as the CEO for the Harrington Institute with branches in many countries around the world. He also serves as the chairman of the board for a number of businesses. In February 2002, Dr. Harrington retired as the COO of Systemcorp ALG, the leading supplier of knowledge management and project management software solutions in Toronto, Canada. Prior to this, he served as a principal and one of the leaders in the Process Innovation Group at Ernst & Young. Dr. Harrington was with IBM for over 40 years as a senior engineer and project manager. He is past chairman and past president of the prestigious International Academy for Quality and the American Society for Quality Control. He is also an active member of the Global Knowledge Economics Council. While he was chairman of ASQ, he was one of the leaders in getting the Malcolm Baldrige National Quality Award through the U.S. Congress and approved by the president. He also served as the first treasurer of the Malcolm Baldrige Consortium that set up and developed the award. Dr. Harrington was elected to the honorary level of the International Academy for Quality, which is the highest level of recognition in the quality profession. He is a government-registered quality engineer, a certified quality and reliability engineer by the American Society for Quality Control, and a permanent certified professional manager by the Institute of Certified Professional Managers. He is also a certified Master Six Sigma Black Belt and earned the title of Six Sigma Grand Master. Dr. Harrington has an MBA and PhD in engineering management and a BS in electrical engineering. He was appointed the honorary advisor to the China Quality Control Association, and he was elected to the Singapore Productivity Hall of Fame in 1990. He has been named lifetime honorary president of the Asia Pacific Quality Organization and honorary director of the Association Chilean de Control de Calidad. In 2006, Dr. Harrington accepted the honorary chairman position of Quality Technology Park of Iran. In 2008, Dr. Harrington was awarded the Sheikh Khalifa Excellence Award (UAE) in recognition of his "superior performance as an original Quality and Excellence Guru who helped shape modern quality thinking." In 2009, he was selected as the Professional of the Year (2009). Also in 2009, he received the Hamdan Bin Mohammed e-University Medal. In 2010, the Asian Pacific Quality Organization (APQO) awarded Dr. Harrington the APQO President’s Award for his "exemplary leadership." The Australian Organization of Quality NSW’s Board recognized him as "the Global Leader in Performance Improvement Initiatives" in 2010. In 2011, he was honored to receive the Shanghai Magnolia Special Contributions Award from the Shanghai Association for Quality in recognition of his 25 years of contributing to the advancement of quality in China. In 2012, Dr. Harrington received the ASQ Ishikawa Medal, the Jack Grayson Award, A.C. Rosander Award, and the Armand V. Feigenbaum Lifetime Achievement Medal. In 2014, Dr. Harrington was appointed chair of TQM College Manchester (U.K.) Board. Dr. Harrington has been elected a Fellow of the British Quality Control Organization and the American Society for Quality Control. In 2008, he was made an Honorary Fellow of the Iran Quality Association and of the Azerbaijan Quality Association. He also was elected an honorary member of the quality societies in Taiwan, Argentina, Brazil, Colombia, Chile, and Singapore.